Congratulations! Your fantastic photographic art has been chosen as a Camera Art feature! You are invited to archive your work in the Features Archive discussion as well as any other discussion in which it would fit! 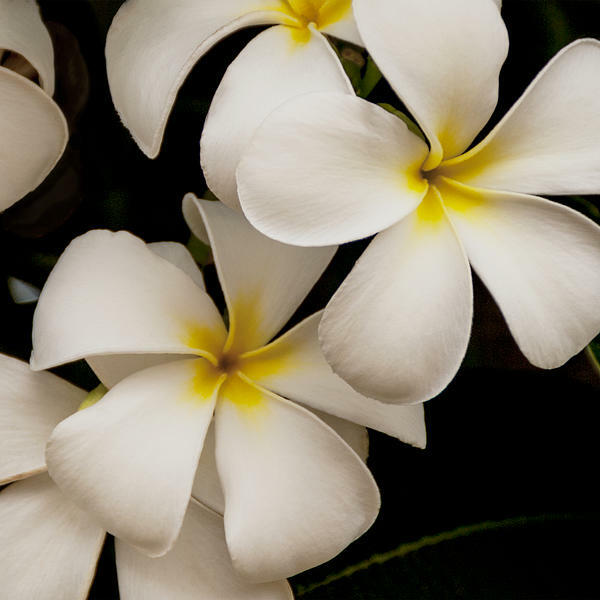 Brian, Congratulations on your Feature in Plumeria Frangipani ! Always a favorite! Featured in Hawaiiana. Aloha! Excellent close-up image. Nice lighting. Congratulations on this beautiful work being featured in "Images That Excite You." 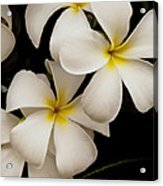 Also available at www.brianharig.com Yellow and White Plumeria of Kauai, Hawaii Published in "Under The Hat" magazine, March 2013 Plumeria (common name Frangipani) is a genus of flowering plants in the dogbane family, Apocynaceae. It contains seven or eight species of mainly deciduous shrubs and small trees. They are native to Central America, Mexico, the Caribbean, and South America as far south as Brazil but have been spread throughout the world's tropics. Plumeria flowers are most fragrant at night in order to lure sphinx moths to pollinate them. The flowers have no nectar, however, and simply dupe their pollinators. The moths inadvertently pollinate them by transferring pollen from flower to flower in their fruitless search for nectar.